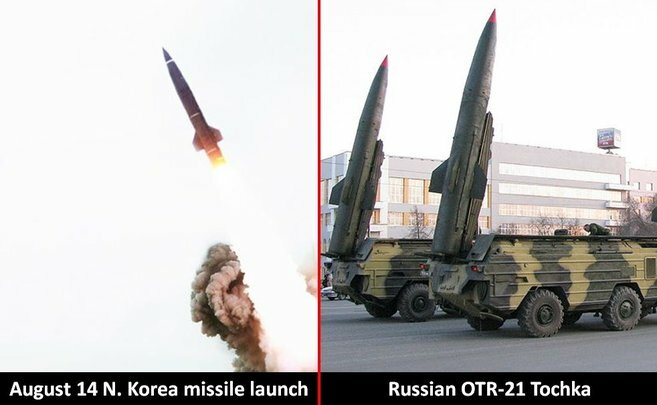 North Korean state media on Friday published photographs of the country’s recent missile launch which show that the weapon was a surface-to-surface missile, specifically the KN-02, the North Korean version of the Russian-made OTR-21 Tochka. This means that the weapon in the August 14 test – and likely in other recent tests – was not the 300mm KN-09 multiple rocket launcher (MRL) as some sources have reported. This also reveals that North Korea has successfully improved the capabilities of this missile, particularly its maximum range. 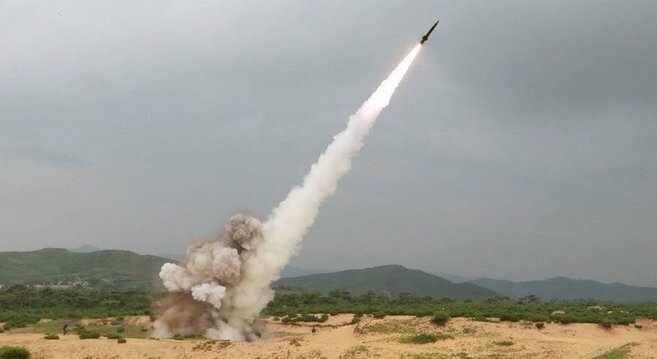 The photographs released by the North’s Korean Central News Agency and Rodong Sinmun on Friday morning show the missile being launched from its ground-based transporter-erector-launcher (TEL) – though the TEL is largely obscured by the smoke from the launch – and it matches the size and configuration of an OTR-21/KN-02. What can be seen of the front of the TEL also closely resembles previous images of the KN-02 TEL, as seen in North Korean parades. The KN-02 (a designation used by South Korea and the West, not North Korea) is a North Korean road-mobile, short-range surface-to-surface ballistic missile derived from the Russian-made OTR-21 Tochka. The Tochka (also known its NATO reporting name, SS-21 Scarab) has been in production in Russia since 1976 and has gone through at least three variants. It has also been exported to several countries, including Syria. It was from Syria that North Korea originally acquired the missile in the 1990s. North Korea’s arms industry reverse engineered the Tochka and had produced their own for testing by 2004. 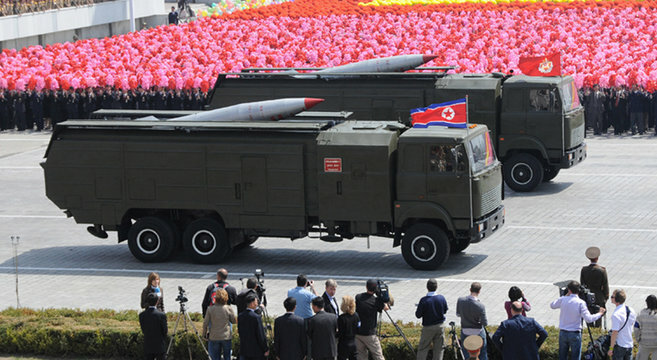 Pyongyang first publicly displayed the missile in a parade in April 2007. 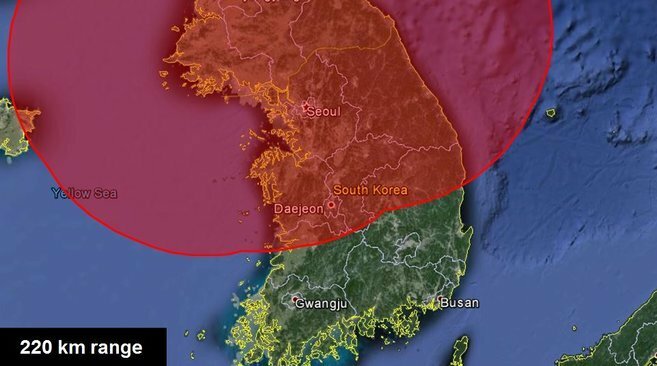 The maximum range of the North Korean missile was previously known to be at least 140 kilometers, but now it has clearly been improved to at least 220 kilometers. North Korea appears to have conducted at least four launches of the improved KN-02 so far this year, firing at total of 14 missiles. North Korea consistently describes the weapon being launched as an “ultra-precision” guided missile (though sometimes they’ve used the term “rocket” instead). 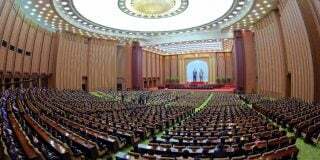 1) Three were fired from the Kalma Peninsula near Wonsan on June 26 to a range of 190 kilometers. 2) Two were fired from the Kalma Peninsula on July 2 to a range of 180 kilometers. 3) Four were fired from Mount Myohyang in North Pyongan Province on July 30. Two reached 130 kilometers and two reached 210 kilometers. 4) Five were fired from the Kalma Peninsula on August 14 to a range of 220 kilometers. Initial reports about the tests of the missile this year, especially the earlier ones, described the weapon as likely being the 300mm KN-09 MRL, which itself was tested in February and March. Some experts, however, have already questioned the identification, citing skepticism that North Korea was able to achieve such long ranges with an MRL. Experts suggested the OTR-21/KN-02 as one of the candidates for what the weapon may actually have been, and now appear to have been proven correct. This series of launches resulting in a significant improvement is typical of the weapons development and testing process. The arms industry will normally develop technology and modify weapon systems and then conduct tests, followed by further improvements and modifications. 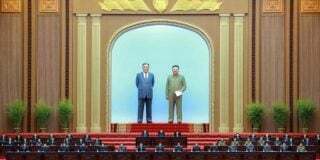 Such tests will often be – and were – observed by relevant officials such as Hwang Pyong So, the senior political officer of the Korean People’s Army, Pak Jong Chon, the KPA’s senior artillery officer, and Hong Yong Chil, a leading figure in the North Korean arms industry. 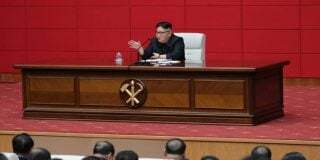 Pyongyang has clearly put forth great effort to not only improve the range of the KN-02, but also to demonstrate these improvements as a threatening capability to the South. North Korean state media even once described this missile as being able to strike the South’s military command centers near Daejeon in South Chungchon Province. These facilities had previously been located in South Chungchon so as to place them out of range of most (though not all) North Korean artillery and missiles. Any improvements to this missile’s capabilities should be seen as significant. The KN-02 is already considered to be the most accurate ballistic missile in the KPA inventory, with a 100-meter CEP (circular error probability) – meaning 50 percent of the missiles fired should land within 100 meters of their target. Combining this accuracy – as well as mobility – with improved ranges increases Pyongyang’s potential ability to strike key targets in the South. Additionally, there is potential for this missile to be a delivery system for nuclear, chemical and biological weapons. 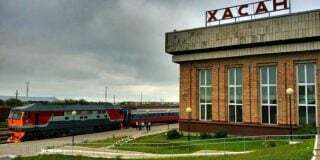 Russia has previously been able to mount 100-kiloton nuclear warheads on the original OTR-21. Though North Korea is not yet believed to have miniaturized a nuclear warhead to fit on this type of missile, the fact that they already have a missile capable of carrying a nuclear warhead with high accuracy and range makes it that much easier for Pyongyang to develop a viable nuclear missile, as the work on the delivery system is already done.